The interior of Wollaston Hall was also restored and modernized, although in a rather ruthless manner, stripping out much of the original detail on the ground floor. It is likely that these alterations were made quite soon after Collis acquired the Hall. He commissioned this engraving, which shows the line of trees forming the main avenue approach to the hall to the right. 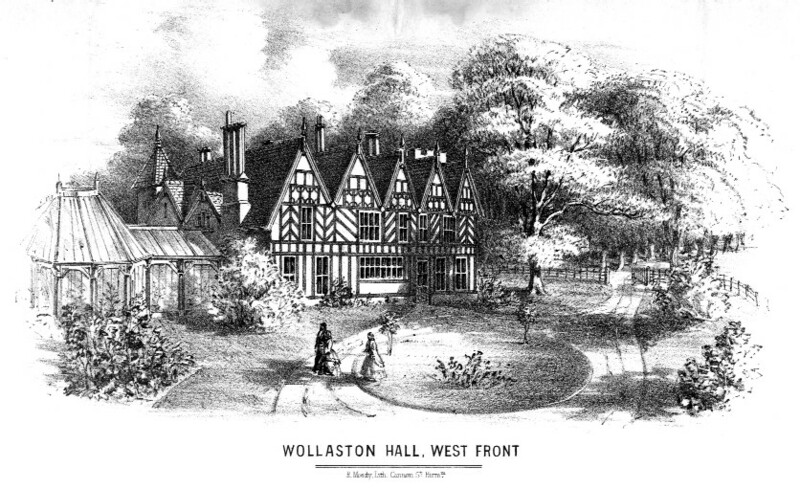 Thank you for this article about Wollaston hall.